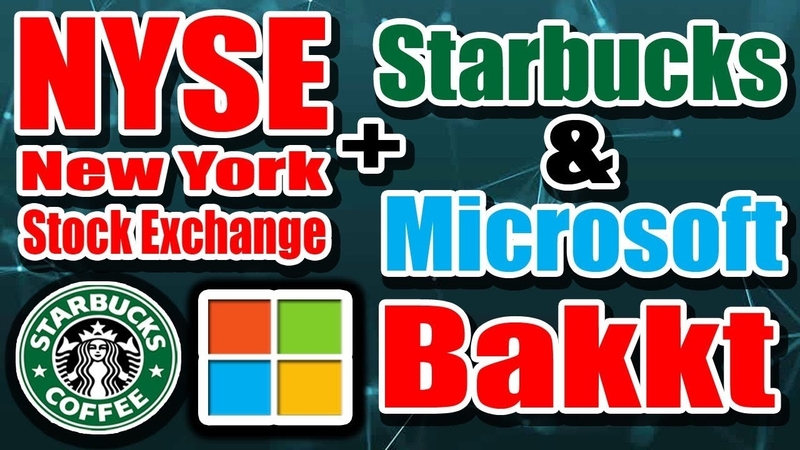 Seattle-based coffee house Starbucks, along with Intercontinental Exchange (ICE), and Microsoft, are working to launch a new company called Bakkt that allows consumers and companies to buy, sell, and spend cryptocurrencies and convert them into U.S. dollars. The project should be complete by November. ICE, the parent of the New York Stock Exchange, has been working to build an online platform to buy cryptocurrency, and will leverage Microsoft Cloud services to do it. The platform also will use blockchain technology. Kelly Loeffler becomes the CEO of Bakkt. “We are collaborating to build an open platform that helps unlock the transformative potential of digital assets across global markets and commerce,” she said in a prepared statement. Blockchain technology is forecast to create a business value of $2 trillion by 2030, according to data released Wednesday from IHS Markit. The emerging technology also is poised to have a major impact on advertising and media. Starbucks is not the first company to take cryptocurrency. Microsoft separately has been working to determine ways to use cryptocurrency. In January, the company restored Bitcoin payments for its online store after removing the option in December 2017. Microsoft, which has been working with blockchain technology, now lets consumers use cryptocurrency to pay for Windows services and Xbox gift cards. This move with Starbucks could put it one step closer to allowing advertisers to pay for media buys and Bing Ads with cryptocurrency. Bakkt, the new company formed by ICE, will include federally regulated markets and warehousing along with merchant and consumer applications. Its first use cases will be for trading and conversion of Bitcoin versus currencies that the government deems to be legal. Overstock began taking cryptocurrency in August 2017, followed by Expedia, Subway, PayPal, Shopify, and Pizzaforcoins. Others include KPC Canada, OKCupid, Reddit, 93 Etsy vendors and more. Convert Cryptocurrency Dollars Into Microsoft Partner Starbucks U.S.